Most people make New Year’s resolutions, and you can bet that at least one of those resolutions is to lose weight. Maybe you made that same resolution at the start of the year. But, here you are. On a food blog. Lusting over all the posts and pictures about tacos, beer, and desserts. Don’t worry. No one is going to tell your trainer or workout partner that you are desperately craving a cheat day. In fact, I’m going to let you in on what my cheat day meal looks like. I have a pretty structured workout and diet plan, but let’s be honest. Every now and again, I want some pizza and a dessert, and I am completely fine with just going for it. In South Florida, there are tons of local pizza joints. 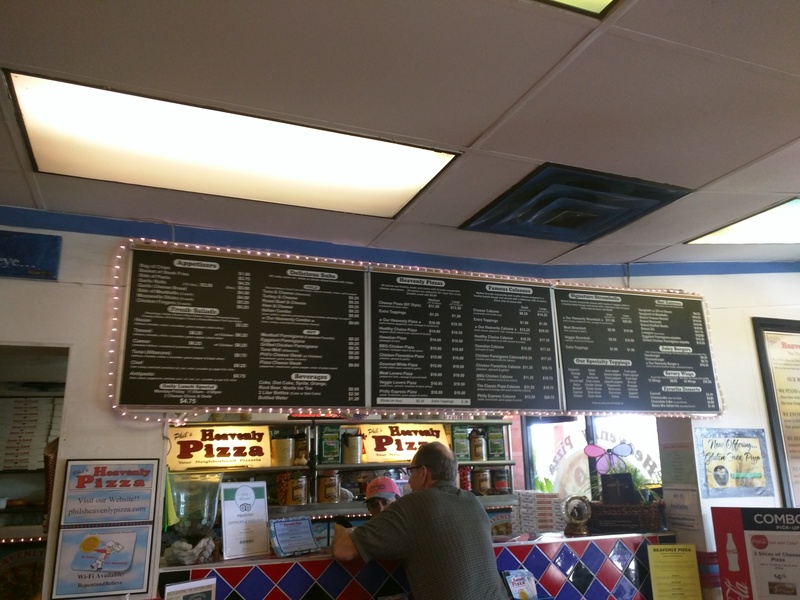 I happened to come across Phil’s Heavenly Pizza because I worked in the same plaza that the restaurant is located. The owners take the Lord and their faith seriously (hence the name), but it’s a totally chill place. They have this divine $5.00 special that includes two slices of cheese or pepperoni pizza and a drink. When I was in that two-week-waiting period after I just got hired at my job a few years ago, this deal came in handy. I have been paid a few more times since then so I can spring for a whole pizza now! Moving. On. Up! Even though I don’t work in that plaza any longer, my CrossFit gym is across the street from Phil’s Heavenly Pizza, so I can always keep my eye on the cheat day prize. 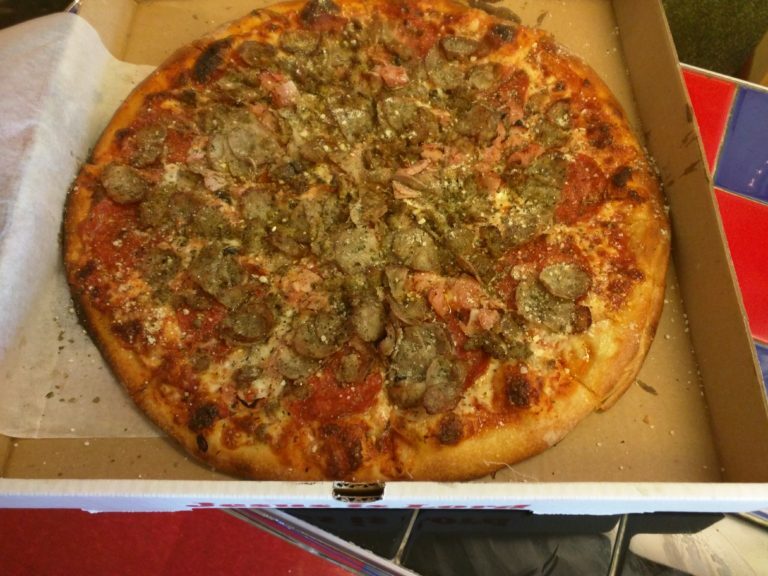 Last week I treated myself to their meat lovers pizza. It was loaded with pepperoni, ham, sausage and ground beef. 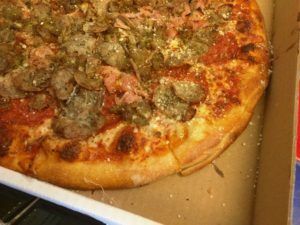 Typically, I don’t like ground beef on pizza, but when you order from Phil’s, you just trust that it is going to be good. Of course, it did not disappoint. One of the biggest reasons I love this place is because they have a traditional brick oven, which gives the pizza crust an unmistakable crunch on the outside while managing to keep the base of the pizza soft without being undercooked. If you are like me and don’t like tons of sauce on your pie, then this is the place for you. Phil’s Heavenly Pizza uses their house-made sauce, and they are careful not to drown your pizza in it. The thin layer of sauce is a nice compliment to perfect amount of cheese that gives way to lots and lots of glorious meat. After all, it is a cheat meal, and I may as well do it right. As luck would have it, I was able to complete my cheat meal close to home because there is a new donut shop right behind my house. This is both a blessing and a curse. 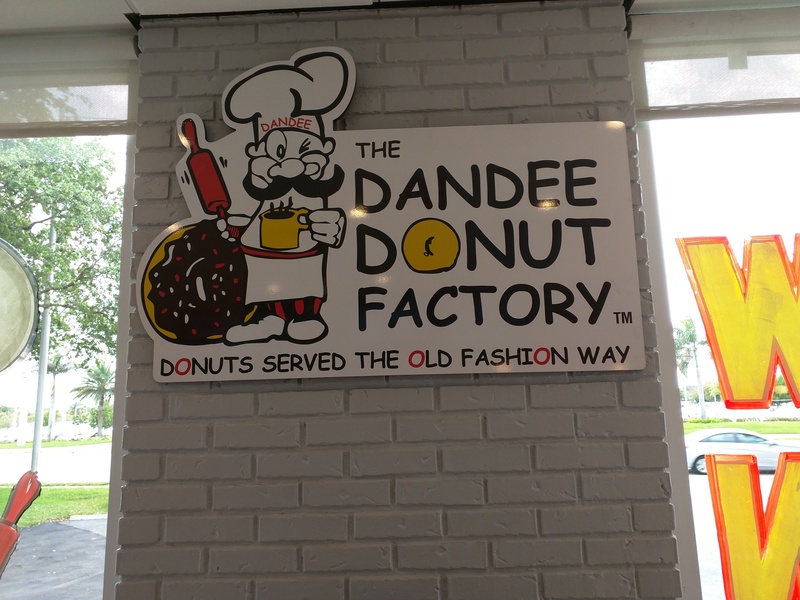 Dandee Donut Factory is not your run of the mill donut shop either. First, let me declare… I don’t LOVE donuts. My mother has been trying to cultivate a love of donuts in me for at least a decade to no avail. 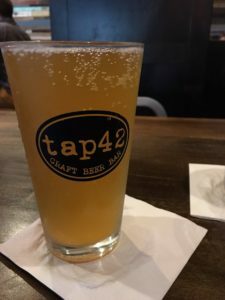 The only reason I tried this place is because it was convenient, locally owned and, well, I write for a food blog and it is my duty to try new things and write about them. To the outside world, donuts are not a new thing, but to me, they are as unusual as Kobe beef or oysters are for others. As you can see, I went for it again. I could not just get one donut, so I figured I should get a baker’s dozen and try them all. Full disclosure, I did not try them all. I did try the double chocolate sprinkle donut, which was super rich and chocolatey. Honestly, the donut tasted like a full-on Oreo cookie, but it was distinguished from the Oreo donut by the sprinkles on top. That is probably why I did not care for it much. Confession time: I don’t like Oreos. If you do, this would be right up your alley. Next up was the signature Dandee donut pictured next to the chocolate log on the right. I have to say it was something special. 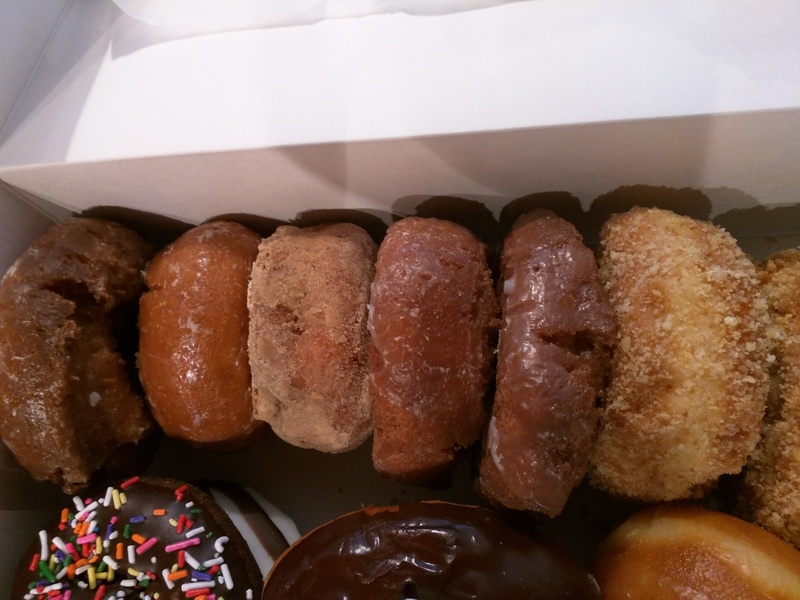 It was extra sweet with a light crunch that was the result of the crushed cereal finish covering the entire donut. I enjoyed this one a lot. 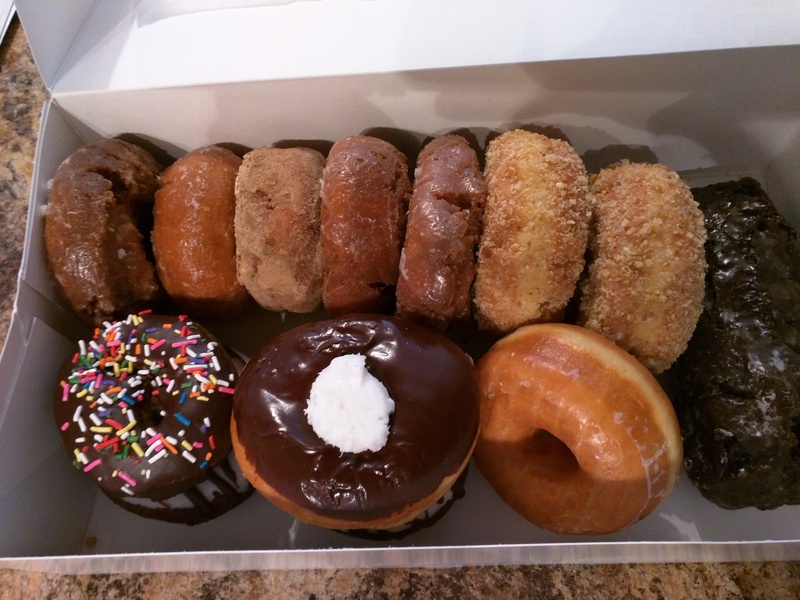 But, my absolute favorite was the sour cream glazed donut featured right next to the Dandee donut (far right) above. The flavor was simple. The texture was dense and reminded me of pound cake. The glaze was light, sweet and not at all overwhelming. It was a great addition to an already good donut. I can say this donut finally made me understand my mom’s love for the treat. It was so good I called my mom to apologize for not getting on the donut bandwagon sooner. 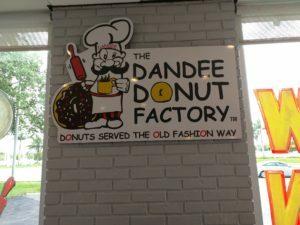 Dandee Donut Factory. 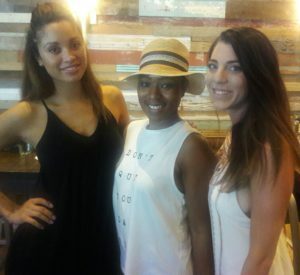 If you’re in the South Florida area, definitely check them out. 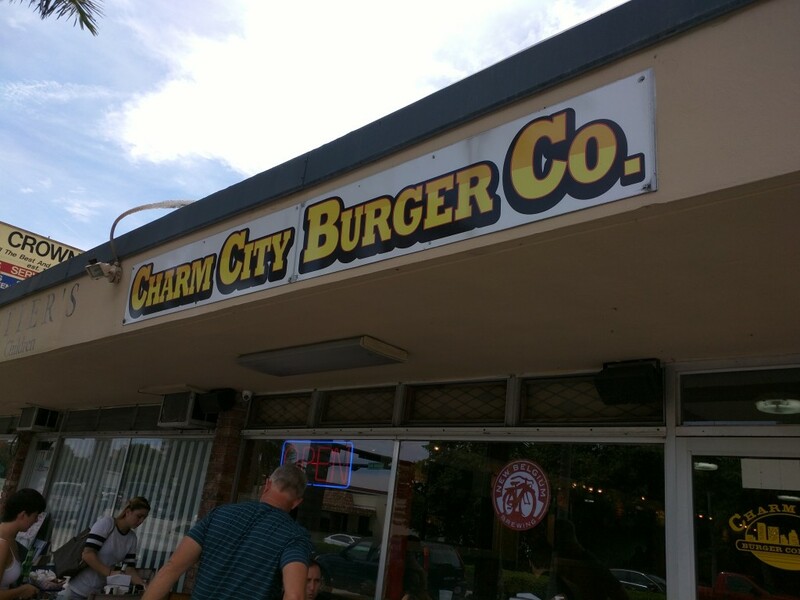 Charm City Burger is located in Deerfield Beach, FL and is just a hop, skip and jump from my office. In fact, I can walk there in less than 3 minutes. Score! The word on the street is that if you want a old-school, all natural burger, this is the place. If you are anything like me, when you hear that type of hype you think “I hope I’m not let down” when you finally visit the place. Thankfully, I can say that I was not disappointed with my burger. 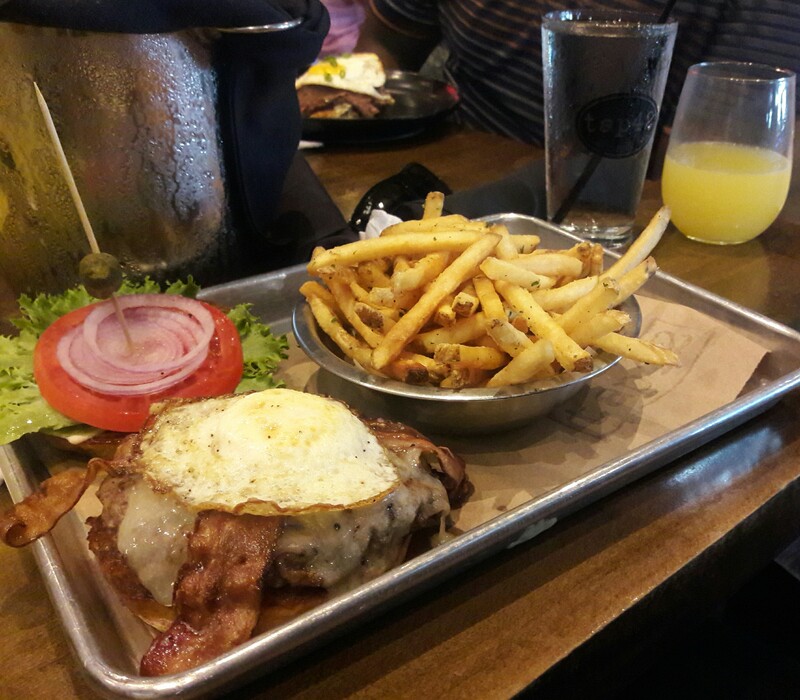 With its cozy charm, friendly staff and award winning burgers, Charm City Burger has solidified itself as hometown favorite. Their menu has a few pre-built burger selections, but the beauty of this place is you can build your own burger at a good price. Since there were so many options, I decided to let the staff guide my selection. I ended up ordering the daily special The “Southern Belle”. The 6 oz burger was the perfect size for lunch. It came covered in munster cheese, spicy bbq sauce, haystack onions and creamy bacon cole slaw. In the original recipe, garlic aioli was included but I asked that it be put on the side. It ended up being a vital part of the burger because it was so good, that I added it back in. Instead of the classic hand-cut fries, I opted for the sweet potato fries. As I was enjoying The “Southern Belle” burger, I looked over and saw the staff making milkshakes. The one thing I was not told about before heading to Charm City Burger was their legendary handmade milkshakes. Trust me, if I had known that the little burger joint that could was making milkshakes from scratch I definitely would have added that to my order as well. Oh well. It just gives me a little reason to sneak away from my desk for a midday treat. 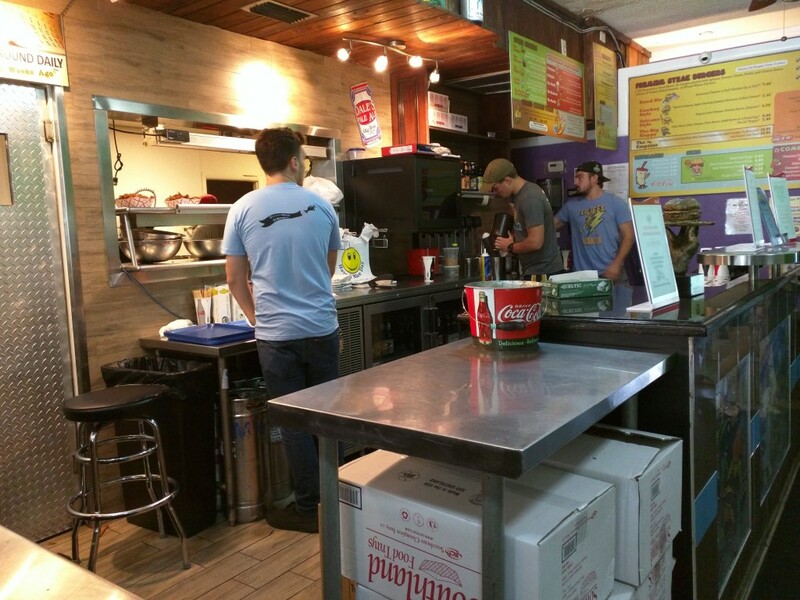 If burgers are not your thing, Charm City Burgers still has you covered. There are vegetarian options, chicken sandwiches and wings, and non-beef burger varieties as well. 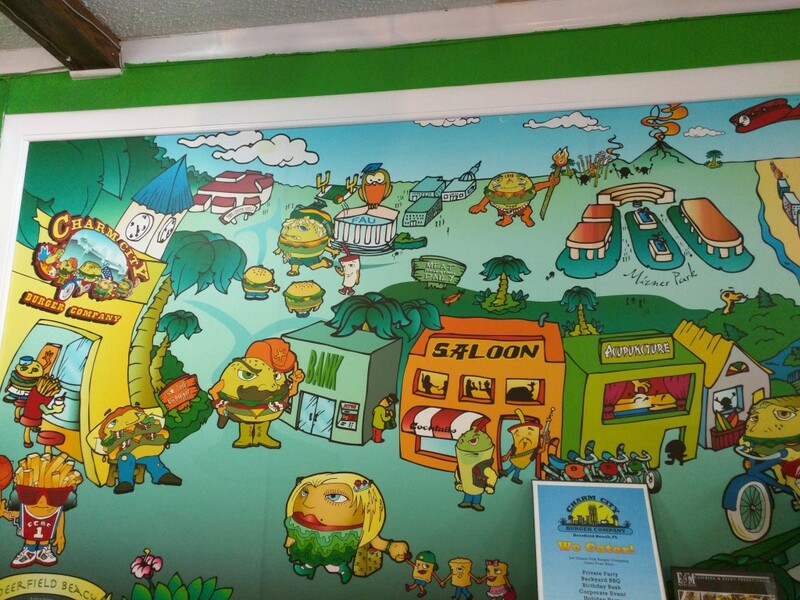 If you are ever in the area, do not get caught up with the chain burger joints. 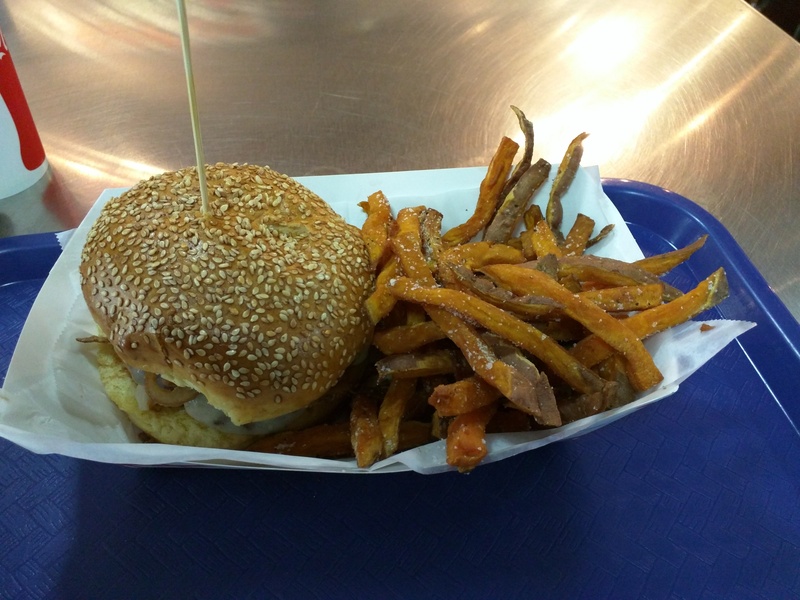 Visit Charm City Burger for a handmade, old-fashioned burger done the right way. What can I say about The Local 150, otherwise known as simply The Local? 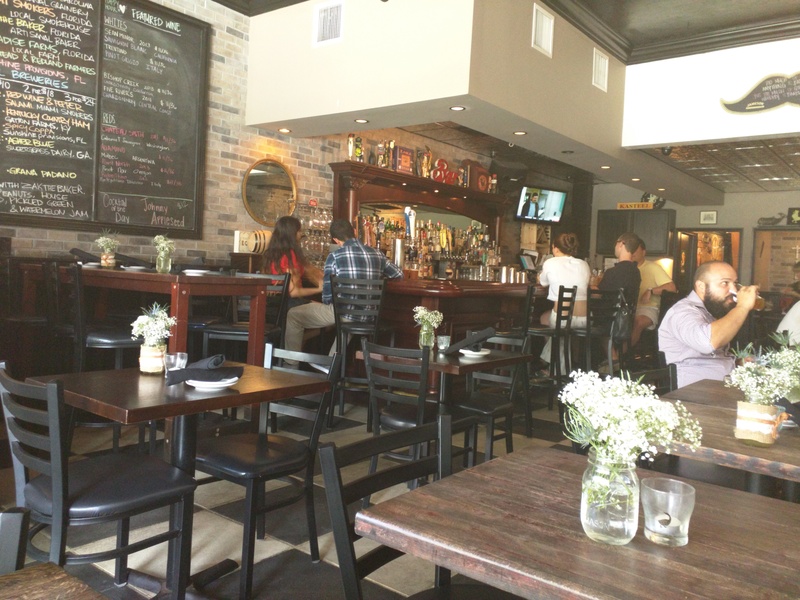 Situated in the quiet outskirts of Coral Gables, this restaurant boasts a rotating menu of down-home American food with a twist. I found myself at The Local a few weekends ago through the power of Twitter. After a series of tweets between The Local and GOF, a day and time was set for the culinary fun to begin. From the outside The Local looks more like a spot that would be known more for its drinks than food. That’s because from the outside, you can see that the bar is a focal point of the pub-style restaurant. It is an intimate venue, but big on charm and selection. The bar boasts at least 18 varieties of craft beers, along with a wine and cocktail selection that rivals any upscale Miami restaurant. 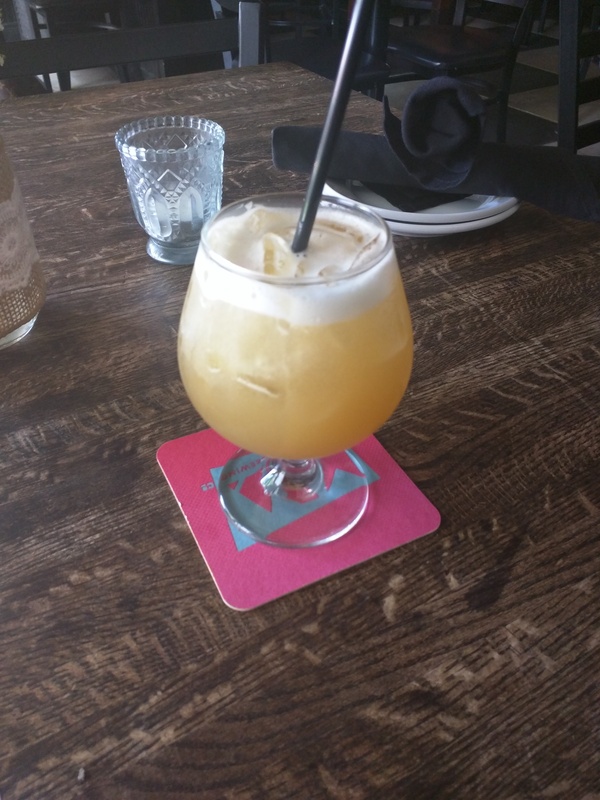 I started the evening by ordering a Hawaiian Stone Sour which included a high west double rye, demerara syrup, fresh lemon juice and pineapple juice. It was delicious. My first course was the Bread and Butter plate. While it may sound like the basic serving of mass-produced rolls with factory made butter, it was not that. 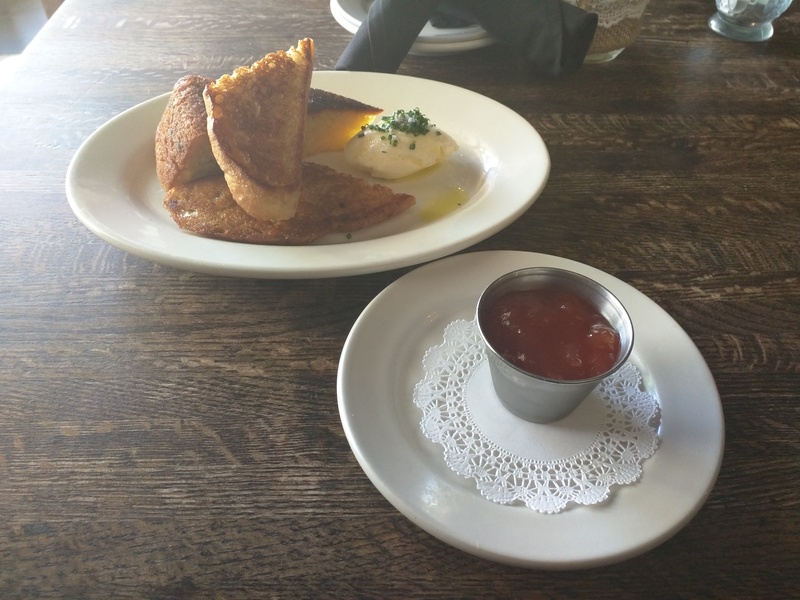 The staff brought out a serving of amazing fluffy southern-style cornbread and grilled bread that was toasted just right. 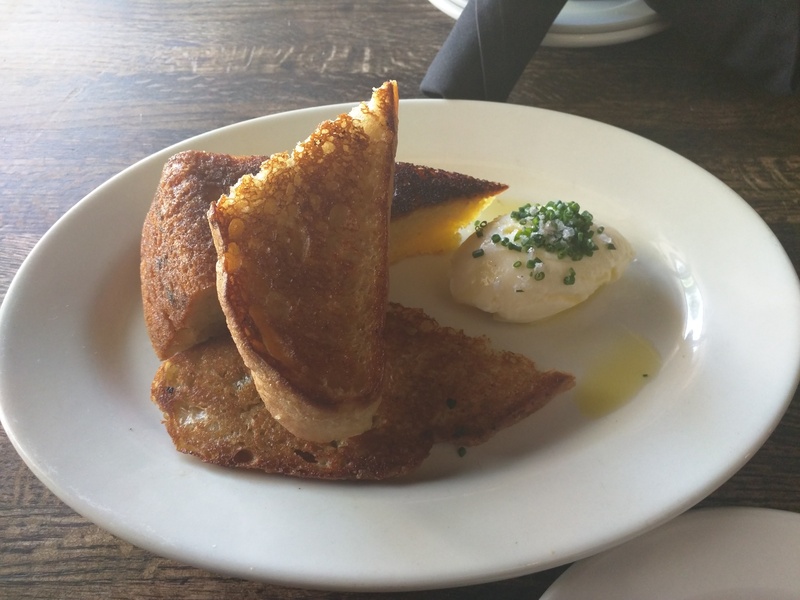 The Local makes their cultured butter on-site and it was a delightfully whipped blend that went perfectly with texture of both the cornbread and grilled bread. But the star of the bread and butter show was the house-made watermelon jam. I have to admit that when the server introduced the idea of watermelon jam my first thought was, “watermelon doesn’t have enough flavor for jam.” Boy was I wrong! The cornbread and watermelon jam combination was so good I almost ate the entire portion while waiting on my friends to join me for dinner. I was generous and saved a piece for them though. When my friends arrived we ordered the Cornmeal Hushpuppies to share because we were determined to find any excuse to eat the remainder of the watermelon jam. The hushpuppies had a crispy shell with a warm cornmeal center that was reminiscent of the cornbread we inhaled just moments before. It paired nicely with the watermelon jam. Sticking with the appetizers, my friend ordered a Grilled Wedge Salad and I was puzzled by two words: grilled salad. Like you, I have heard of grilled chicken or salmon on a salad, but not an actual grilled salad. I could not wait to see what the dish was all about. The salad was a combination of radish, celery, apples, spiced peanuts and blue cheese on a bed of lightly grilled arugula. Butter was the word of the day as the salad was topped with brown butter, which my friend requested be included on the side. 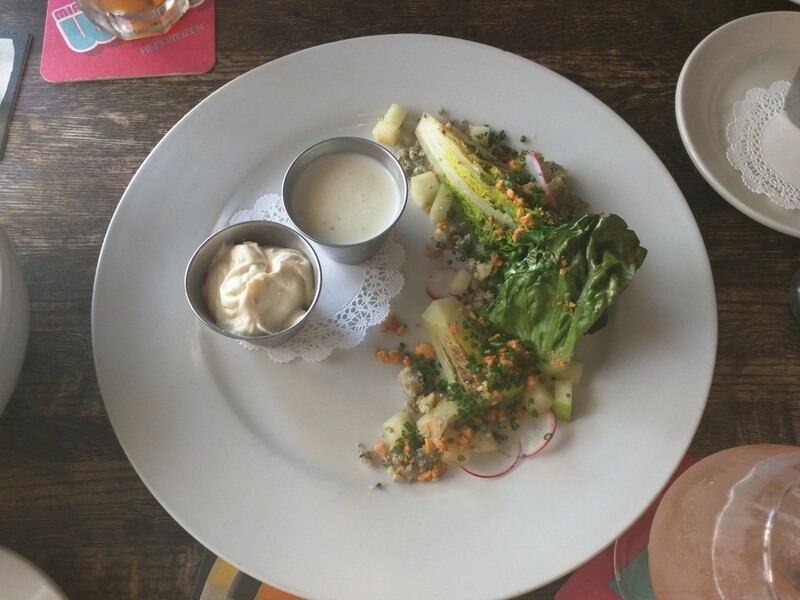 The butter acted as the glue that melded the flavors of the salad together. Also, the salad comes with country ham but my vegetarian friend requested it not be included on her dish. our wonderfully friendly server brought out a favorite entree among the locals of The Local. 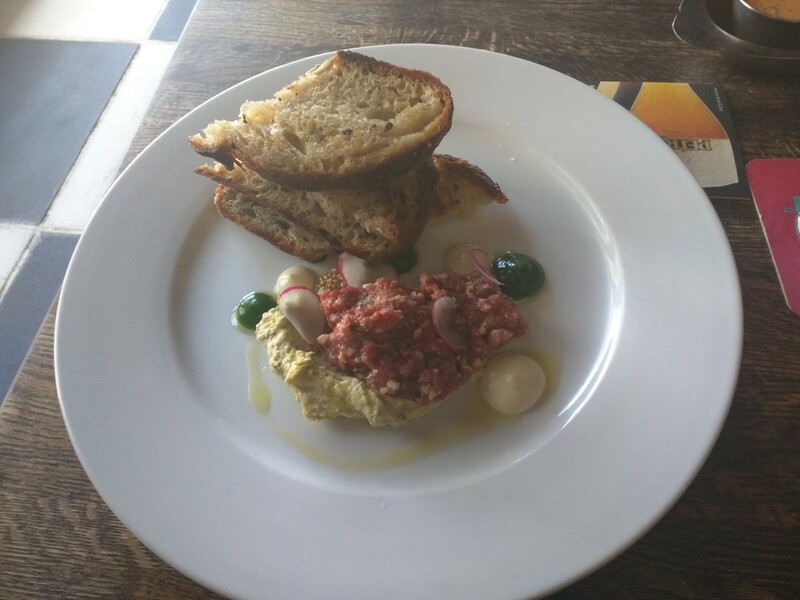 The Steak Tartare sat atop a blend of deviled egg, chives and roasted garlic. I have to say the deviled egg gave the dish a unique flavor and I was surprised at how much the combination made sense. Kudos to the chef for such a bold plate that worked. After all the warm-up excitement, we were ready for the main course. 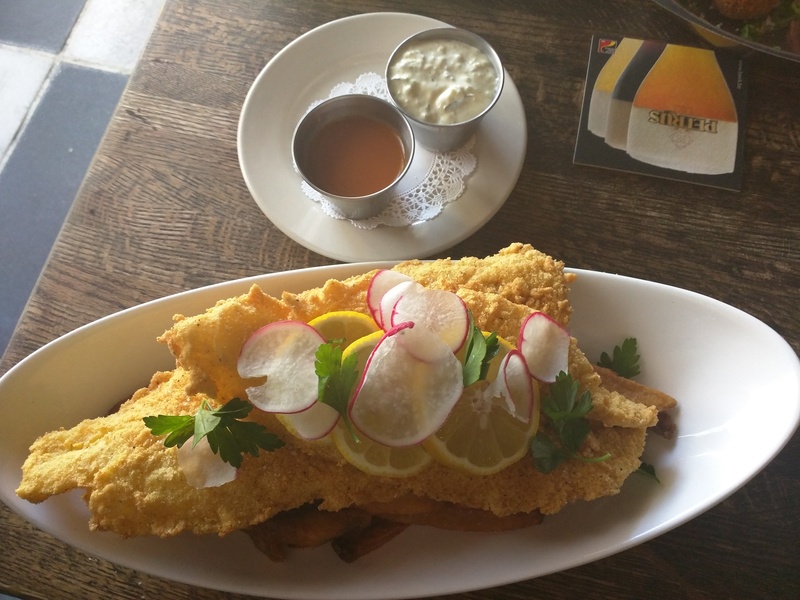 I ordered the classic pub staple of Fish and Chips, while my friend ordered Smoked Beef Sweetbreads. 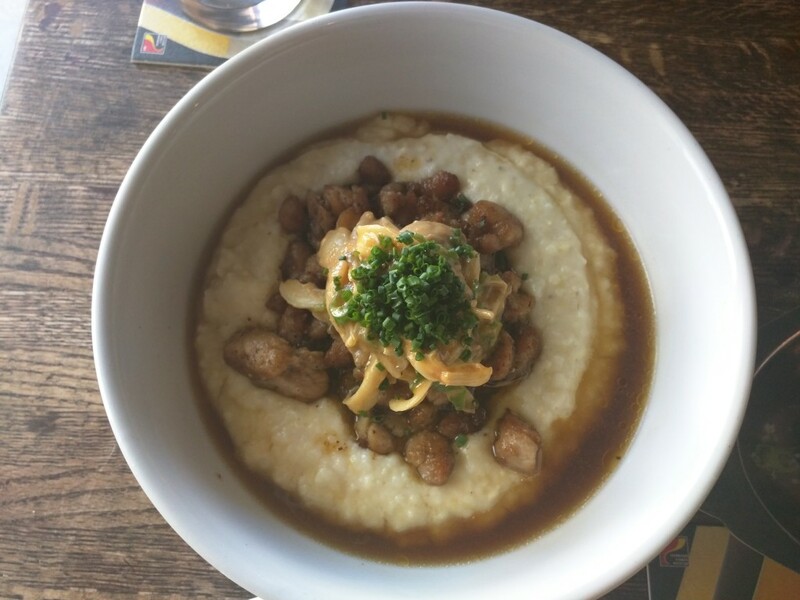 From the menu, the sweetbreads entree was listed as a combination of stone ground grits, mushroom slaw and smoked mushrooms. That sounded simple enough but I could not picture what that dish would actually look like upon arrival. Good thing I captured a picture so you don’t have to imagine. My fish and chips entree soon followed. The golden crust of my catfish was fried just right. It adhered to the fish well but was light enough not to overpower its taste. I could go on and on about this dish but I have to switch gears to discuss the gem of all culinary gems that night: the Fried Chicken Leg. I was prepared to eat my well-made and tasty fish and chips. I really was. But, then the server brought out the creme dela creme of The Local’s menu that night and it was a game-changer. As soon as I tasted the fried chicken leg, I had the server box up the fish and chips because there was no way I would be eating it instead of the chicken. 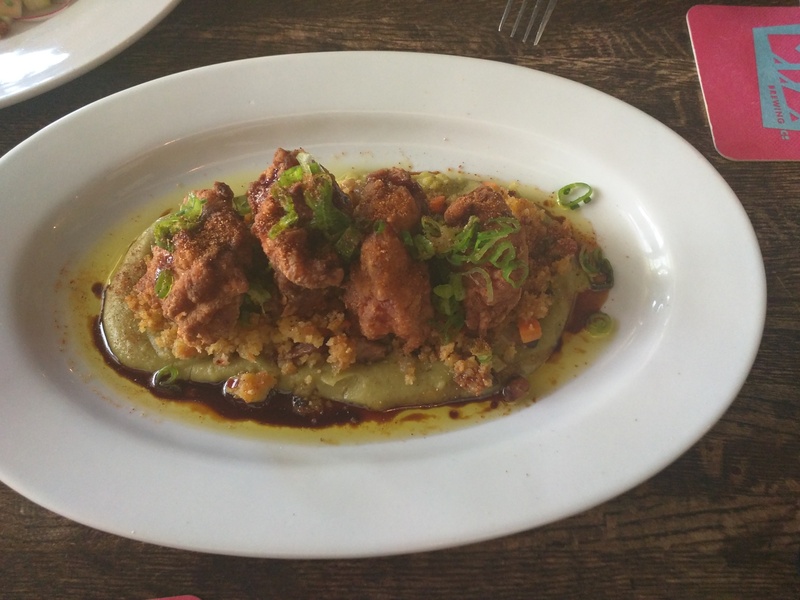 This dish came on a bed of blended split peas that resembled mashed potatoes, topped with a bacon cornbread dressing and finished with southern-fried de-boned chicken leg cut into four pieces. 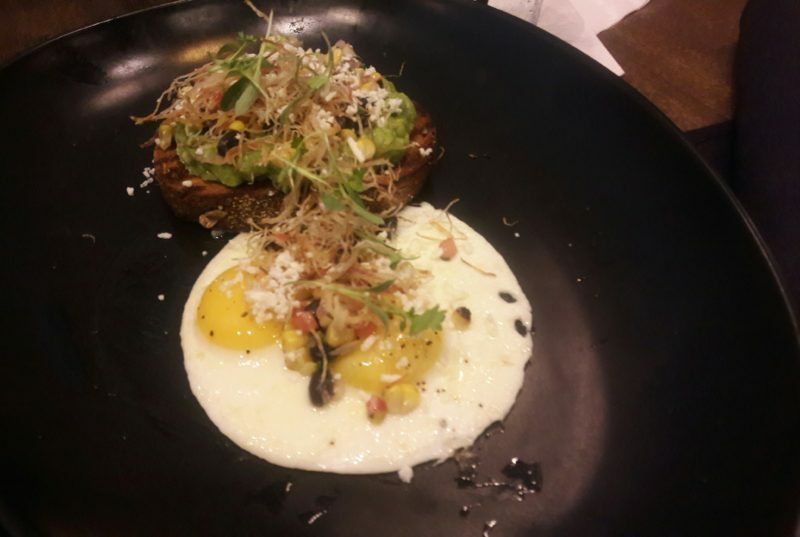 My friend wanted to share the dish and I obliged but I was not happy about it. I wanted it all to myself. I highly recommend that anyone in the mood for good, down-home, hearty dish forgo everything else and order this instead. You will not be disappointed. After all that eating, me and my friends were stuffed. The server asked if we wanted to order dessert and, of course, we declined. However, our server told us about the hot sticky buns, and we couldn’t turn them down. 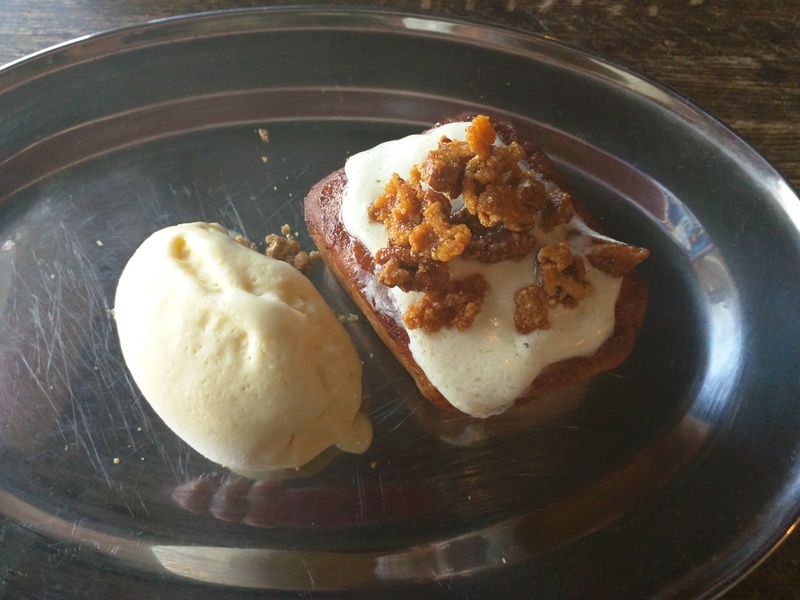 As full as we were, we managed to devour the Sticky Buns topped with Miami’s own smokers bacon and homemade sweet potato ice cream. The Local is an excellent place to go when you want quality food by a chef and staff committed to using only the best locally-sourced, seasonal ingredients found in South Florida. 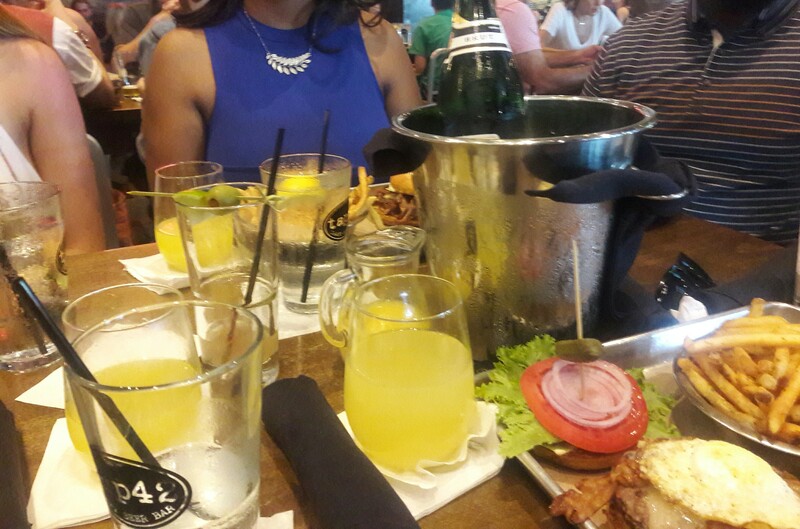 The food and drinks are nothing less than amazing and for the price, they are almost giving it away. If you find yourself craving a bit of American comfort food in the heart of South Florida, visit The Local.